I typically prefer not to post about myself, but I have these two neat pictures and I figured that I would enjoy them if someone else had posted them. 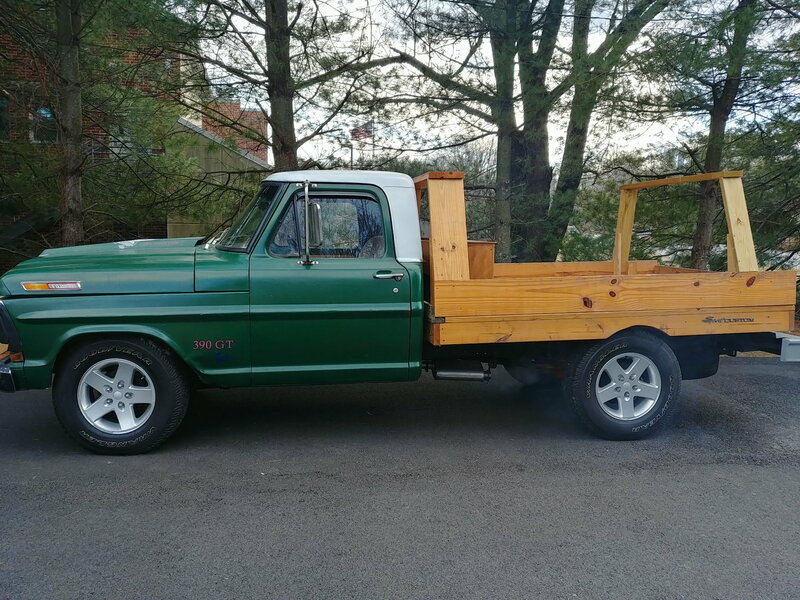 This is my Dad's 1968 F-250 Ranger Camper Special. I recently revived it after sitting in storage for 10 years and have been thoroughly enjoying it. The first pictures is in the storage building and the second is in a parking lot at my university. The truck was in an accident long before Dad owned it and some front end parts were replaced. 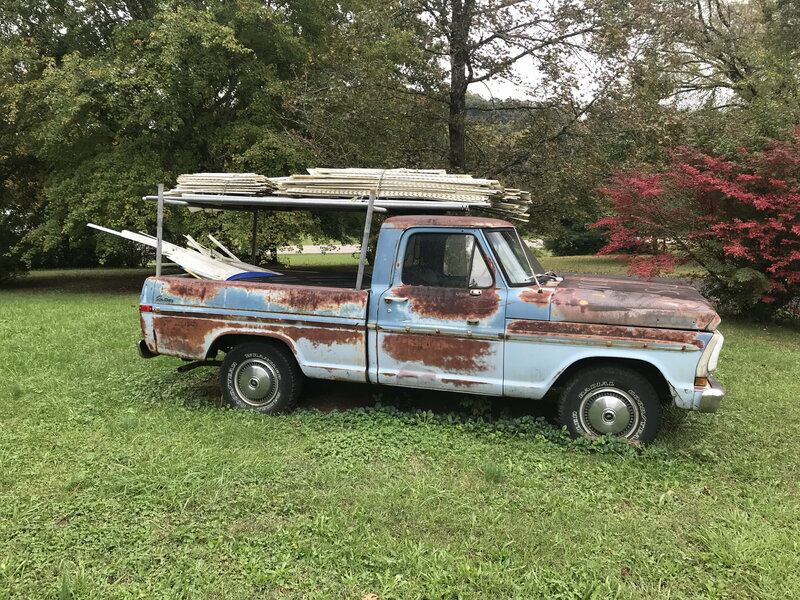 I considered installing the correct 1968 Ranger items, but this is the way the truck has been for many, many years and I don't think I should change that. Nice looking truck! Be thankful that it was left sitting IN STORAGE. Mine has spent most of it's life sitting outside. Can you tell? 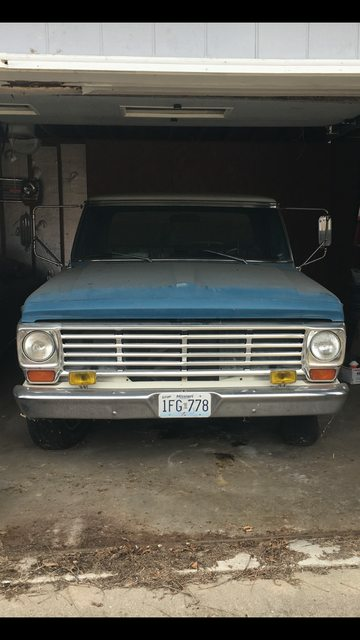 Dad bought Ole Blue new in 1970. A lot of rust, but thankfully not a lot of rot. Just got him moved off the grass and onto pavement for the first time in eight years last night. That is a fine looking truck. Would not change a thing! Drive it until the wheels fall off and then rebuild like you want it. Sure looks like it was well taken care of. 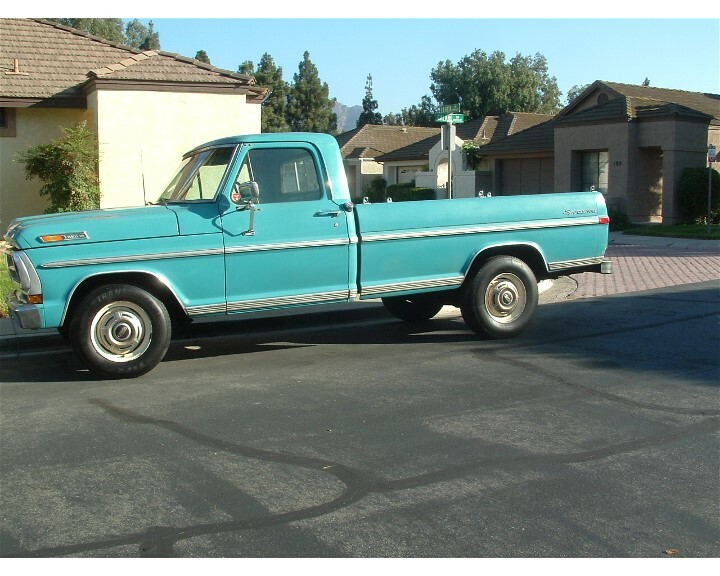 This is a picture of my 1971 F250 300 4.9L inline 6 that I picked up a few months ago. Original paint, no rust through, Just a little hood surface rust to show it's age. Thanks for the kind words everyone and I enjoy seeing your projects. Wish you all luck on them! 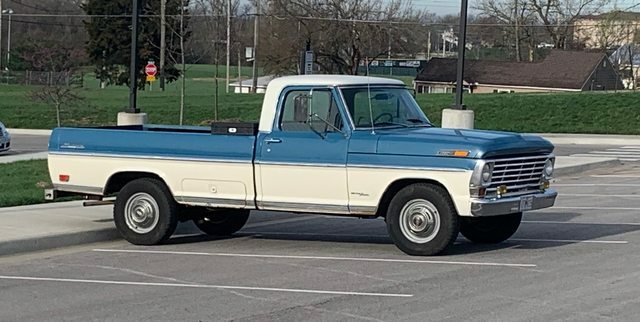 That is a really nice truck, and I think it's great that it belonged to your dad and you're keeping it alive. 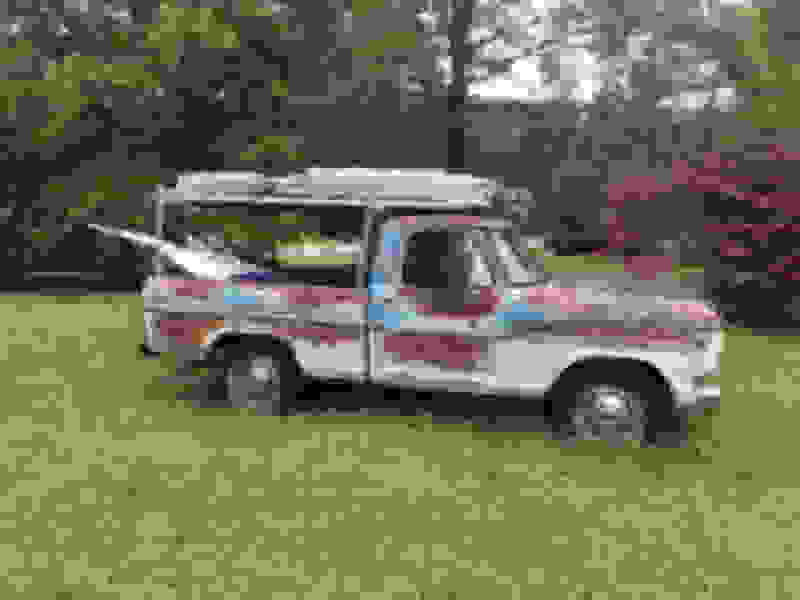 I really enjoy seeing other folks trucks on the forum. It makes me realize that there is hope for my project. Mine is below. She does smoke some until good and warm. Photo taken in February so it didn't get real warm even inside.